Among the most important sports cards in the hobby. 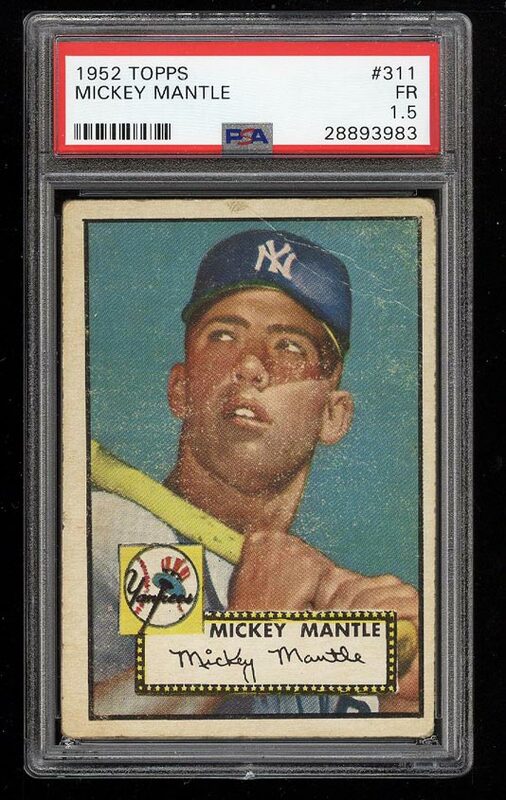 The offered Topps Mantle rookie retains attractive color and focus for the assessment. Mostly clean borders with well preserved corners and edges. Accurately assessed on account of surface wrinkles and wear. A wonderful investment caliber card which continues to gain popularity. 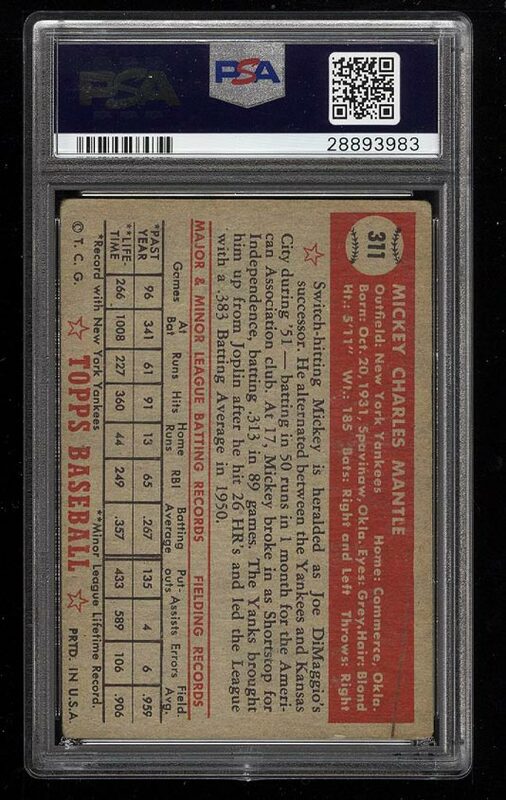 One of nearly 14,000 cards, lots and sets up for bid in our 4th Auction of 2018. Click on the link above to view the other PWCC auction lots.